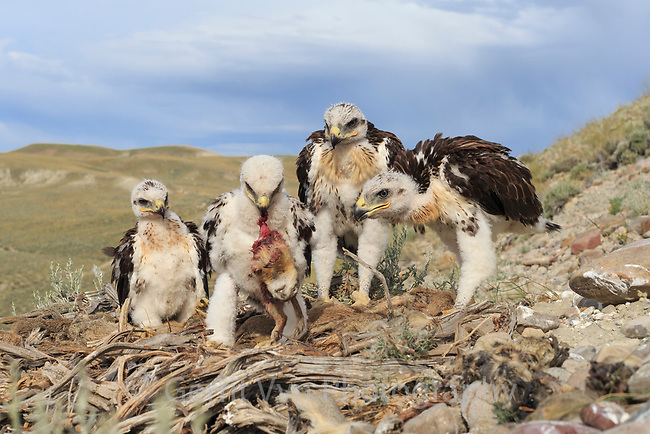 Ferruginous Hawk (Buteo regalis) nest with chicks. Sublette County, Wyoming. June.